These stairs are the scripted version of the stairs Gosik and Inge made from the Generations EP spiral stairs. 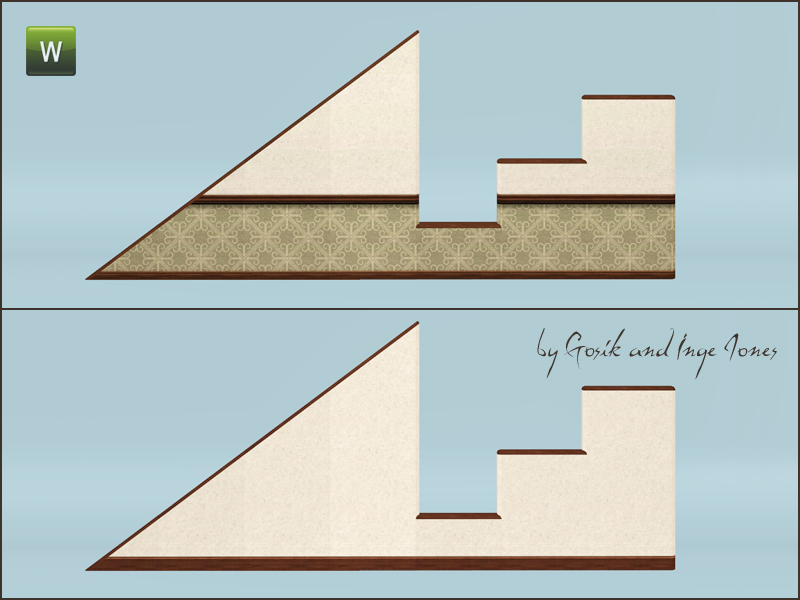 Gosik made the mesh and textures, while Inge made the script and edited the routing slots and rig. The scripted version stops the sim animating (he now just snaps from the bottom to the top instead of walking up) and also disables the sliding down rail interaction. 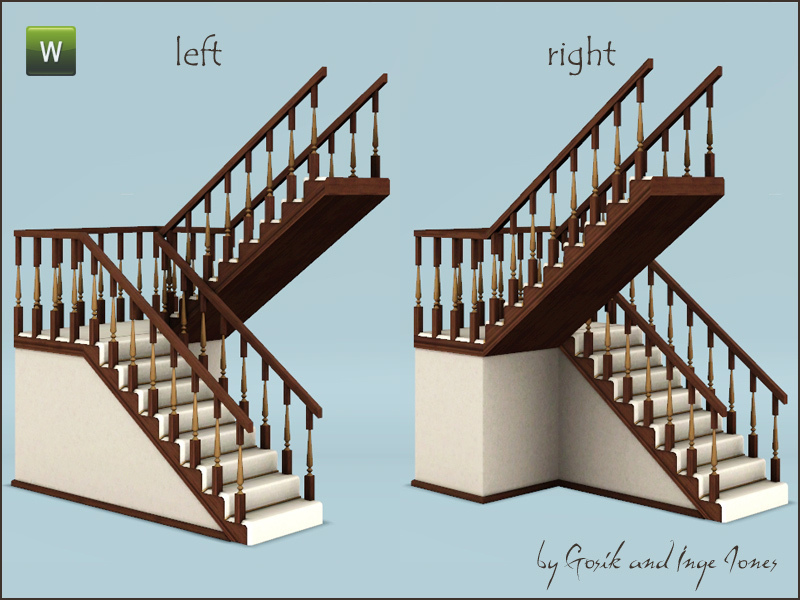 well Inge also did this kind of staircase in TS2 - perhaps not as PRETTY - but it works the same way. You can find it at simlogical under the TS2 downloads. Got a dumb question for you. Why would you have a set of stairs when the sim just teleports between floors? Are they a deco item? I know I have missed something because Inge is very smart and I know that Leefish sees this as a great find so obviously I missed an important detail. Would it be that the sim ascends and descends as if the staircase were actually a spiral and not a halflanding staricase?